Nuclear Blast has announced the signing of POSSESSED to a worldwide deal. Few bands have done more to push the boundaries of extreme metal than the legendary POSSESSED. Even fewer can create a unique style, which continues to set them apart from all others by being the very first in a genre they laid the foundation for. POSSESSED are by definition, the creators of death metal. 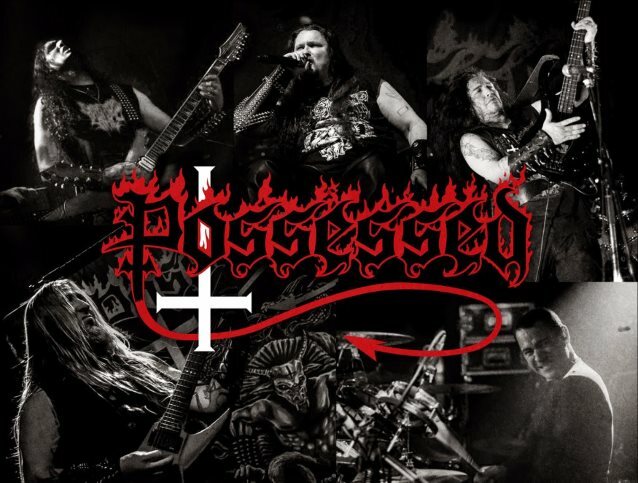 Ever since they stormed onto the San Francisco metal scene in the early 1980s, POSSESSED has been redefining and breaking the rules for metal. Nuclear Blast is very excited to be a part of that continued legacy. Comments vocalist and founding member Jeff Becerra: "POSSESSED are pleased and honored to announce our joining the Nuclear Blast family. Currently, we are hard at work writing new material for our upcoming first full-length release on Nuclear Blast. I want to give special thanks to everybody at Nuclear Blast, and to all of our supporters. This has been a long time coming and this is a very exciting time for us." Watch a short teaser video announcing the signing that includes a short snippet of demo of a new song below. Fans can expect POSSESSED's first a full-length release in 31 years sometime in 2018. POSSESSED took San Francisco's metal scene by storm, playing with fellow Bay Area thrashers and friends EXODUS and other bands — many now long gone. In 1982-1983, they recorded a four-song demo. One of the demo tracks, "Swing Of The Axe", ended up on the "Metal Massacre 6" compilation and later on "The Best Of Metal Massacre". Released in October 1985 on Combat Records, "Seven Churches" set a new standard for extreme music. Combining lightning-fast riffs, Becerra's raspy trademark growl and speedy bass playing, pummeling drums and Randy Burns's production, "Seven Churches" created a whole new genre of music — death metal. "Seven Churches" went on to be one of Combat Records' best-selling albums. Not bad for a quartet of high school kids! "Beyond The Gates". Released on Halloween in 1986, this album was especially well-received in Europe where they toured at the end of the year. The album that changed the landscape of heavy metal, "Beyond The Gates" was the highest-selling Combat album that year. After that tour, POSSESSED recorded and released "Eyes Of Horror", a five-song EP produced by Joe Satriani. Musically and lyrically advanced, the album touched on dark themes such as sin, drugs and violence and, of course, the devil. Not long after the release of the EP, LaLonde (early guitars) joined up with Les Claypool and PRIMUS. Soon after, Mike Sus (early drums) left to continue his studies at SFSU and Torrao (early guitars) decided he no longer wanted to play in a band. Becerra continued to play and joined some side projects, but mostly took time to pursue his goals in life including his attending SFSU. In 1992, while coming home from work, tragically, Jeff was shot twice by two different gunmen who were attempting to rob him. It would be seventeen and a half years before Jeff was again able to resurrect POSSESSED after receiving literally thousands of fan letters, e-mails and fan support. In 2006, Becerra joined with SADISTIC INTENT to record "The Exorcist" for a POSSESSED tribute album. 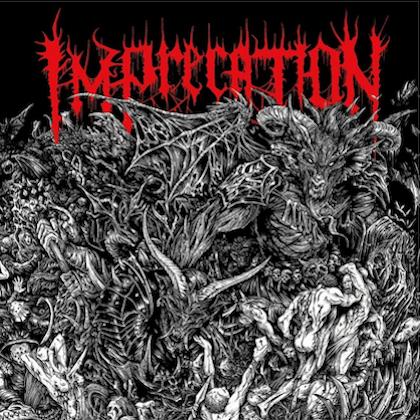 Becerra and SADISTIC INTENT decided to do a few live shows to satisfy fans who had been clamoring for shows for decades. 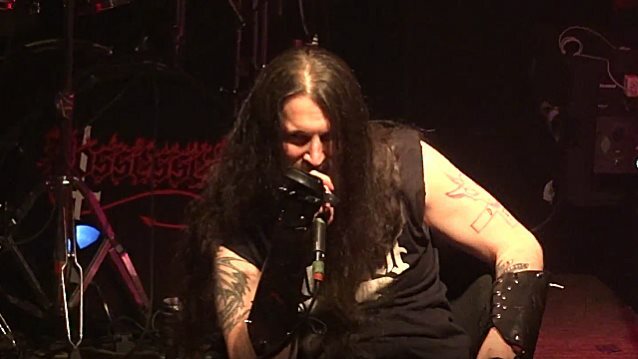 With such a positive response, Becerra and SADISTIC INTENT continued to play a number of successful shows, including Wacken Open Air in 2007, Maryland Deathfest 2009, and 2010's "Blackest Of The Black" tour. This lineup breathed life into SADISTIC INTENT and Becerra, and the two parties split amicably to play their own styles of metal, with drummer Emilio Marquez staying with Becerra and POSSESSED. After making several live appearances, including Graspop Metal Meeting in 2012 and "The Fallen Angel" 2012 European tour, "Cursed Over Europe" 2014 tour and the "Evil Over Europe" tour 2016, POSSESSED is primed and finally ready for a new era. The POSSESSED legacy has been highly influential in the realm of extreme metal, changing the genre forever. Ready to take it further, POSSESSED is planning several tour dates and writing new material that will change the face of death metal once more.